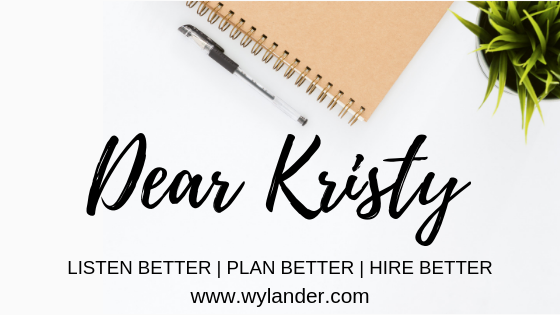 Dear Kristy: Are You Going to Push Candidates on Me? No, we are absolutely not going to push candidates on you! However, we do believe in taking a consultative approach to recruiting and always strive to build solid, open communication with our clients. Step 1: Search, filter, and review candidates. Our recruiters carefully evaluate every single application that comes in, and use a number of platforms to search for candidates meeting your specific criteria. Step 2: When a recruiter finds a solid candidate for the position, they do what we call a phone screening – or phone interview. This includes walking through a 20-30 minute interview with that candidate, asking questions specifically pertaining to the open position. This gives us a good feel for the candidate’s knowledge, and also their character. The better we know you and your company, the better our recruiters will know – even at this stage – if a candidate may be a good cultural AND skillset fit for you. Step 3: If the phone screening from step two goes well, we will send all our notes from that interview along with a fresh resume over to you, the client. We ask that within 24 hours, you let us know if you want to interview that candidate – or pass. If you choose to pass, we do ask that you explain why as that will help us better filter through future candidates for the position. There are obviously more steps to our recruiting process, but the three steps we just walked through are most relevant to this topic of “pushing candidates.” It also loops back to our consultative approach. If we feel a candidate is truly worth speaking with, yet you have some hesitations, we may suggest at least taking a few minutes to make a phone call to the candidate. A few months ago, one of our recruiters interviewed a candidate who they thought would be an impeccable cultural fit (and trainable for skill) for an estimator position they were working to fill for a long-time client. On paper, the candidate was slightly lacking in the skillset the client was looking for, but the professionalism and character presented by the candidate even during the initial phone screening left the recruiter impressed. When the client was initially hesitant about the candidate due to the weaker resume, the recruiter asked that the client take a chance and interview the candidate. Thanks to the rapport built between client and recruiter, the client agreed, and that candidate turned out to be exactly what the company was looking for in a new estimator – great character, and trainable. That example aside, I do want to say we will and do listen if you choose not to interview a candidate. We will never push a candidate on you if you truly feel they are not a good fit, although we may ask to have a conversation about the current market and perhaps offer a different perspective on a candidate’s skillset or resume. Again, consultative. All that said, at the end of the day, the interviewing and hiring decision is always up to you! You understand your company and its needs better than anyone!